Please select a size. 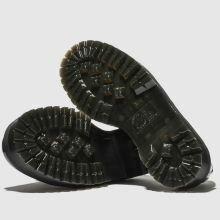 EU 36 - Low StockEU 38 - In StockEU 39 - In StockEU 41 - In StockEU 42 - Low Stock Please select a size. 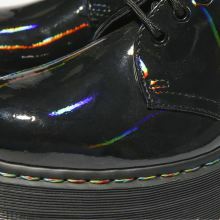 This attention grabbing Dr. Martens shoe was crafted for the rebellious with a shimmering iridescent rainbow finish. 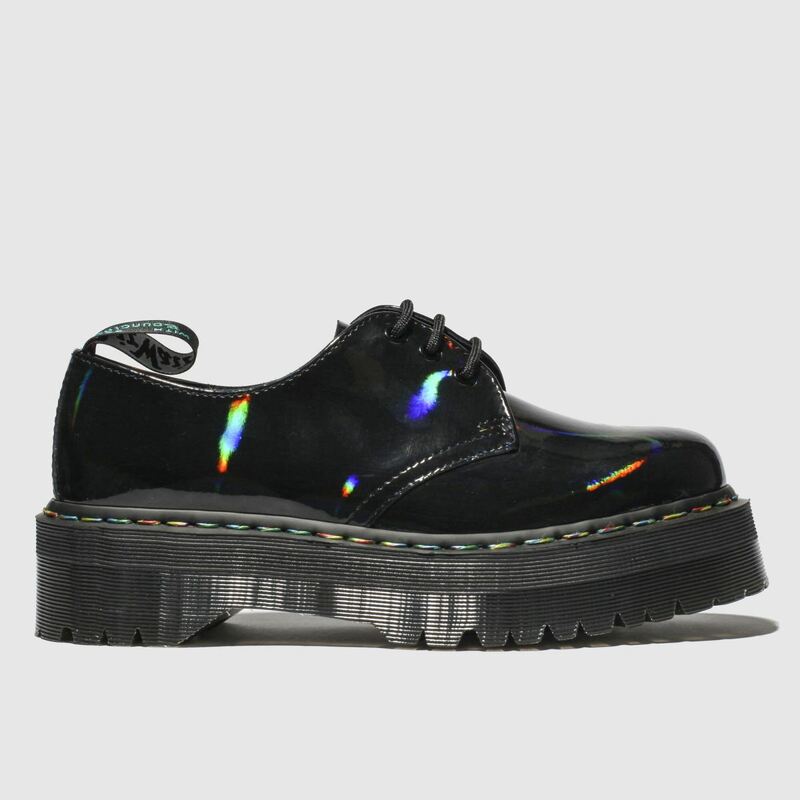 The 1461 Molly Rainbow boasts a black patent leather upper with a colourful lacing option and branded heel pull. A 5cm platform finishes.